News, stories and updates from Walking Football clubs all across Scotland. 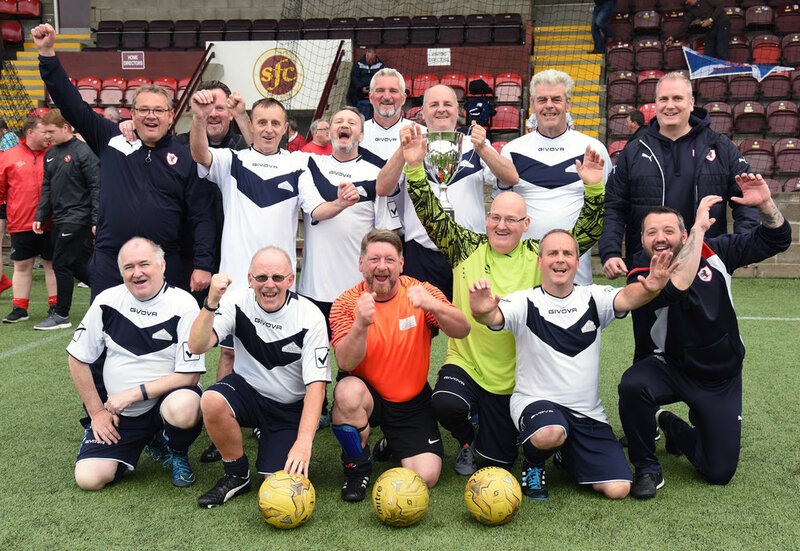 Raith Rovers Community Foundation were worthy winners today (Sunday) at the Stenhousemuir Football Club Walking Football Tournament. Twelve teams turned up today at Ochilview Park to compete for the Stenhousemuir FC walking football tournament. The closely fought final saw Raith Rovers overcome a strong Clyde team in the final. Below is a gallery with some of the teams competing today. Well done to Danny Newbigging and his staff at Stenhousemuir FC and to all the participants.